If science does anything for you then you’ve no doubt heard of the large hadron collider. It’s the particle accelerator operated by CERN, the European agency focused on nuclear research. The organization recently decided that it was time for large-scale improvements to its most powerful piece of equipment. Those should happen over the next few years, but engineers in Geneva are going to have to do some prep work first. Included in that is removing some unused cables from the system. How many? Um, 9,000. It’s an astounding number, but how they got there will probably sound pretty familiar. Over the years, as improvements and upgrades have been made to individual parts of the collider, the cables that were initially installed were also replaced. The problem is that the old cables weren’t removed. Before you shake your head, ask yourself how many times you’ve made a quick fix to your own network but didn’t bother to remove the old hardware or cables. Maybe you meant to go back and get them then got caught tackling another task. Or maybe you were putting out a fire and, in your rush, just plain forgot to remove them. While you may not have 9,000 extra cables strung throughout your data center or server room, you probably have at least one unnecessary piece of equipment laying around. It’s time to do something about it. This post is the first in a series of four that we are calling our Network Security Spring Clean series. In this post we will tackle, not surprisingly, hardware, but over the course of the posts we’ll also address your people, your data, and your network. But, back to hardware. Obviously, as the CERN example shows, it’s easy for a sever room to slowly grow out of control. If yours is a little unwieldy, it’s time for a hardware spring cleaning. Here are three things you need to do. If the photos that pop up when you enter “server room from Hell” into a search engine don’t scare you then it’s definitely time to take this step. Even if you are horrified, it’s still time for a fresh network diagram, because yours is almost certainly out of date. Keep in mind that you’re worried about more than just cleanliness. You need to be sure there still isn’t some test box receiving a tap of all of your network traffic from a mirrored port on a switch somewhere. So, take the time to do a thorough audit of each Ethernet port and wireless access point, know where those cables lead, and evaluate the necessity of each piece of equipment. Why? Because each device you have connected to the network is another opportunity for hackers to move throughout your network and another home for malware to live. This tip is one we’ve shared before, but it’s so important that it deserves repeating. To know when something is wrong on your network you have to know what normal traffic looks like. What machines should be talking to each other? How often should they be talking? What ports should they be using? Put some network monitoring software in place so you know what to expect, and review that data regularly. Anomalies could be a clear sign of an infection or breach. Is Your Bandwidth Able to Handle Your traffic? While data centers at larger companies may have gotten there a few years ago, a lot of SMB networks are finally making the move to 10 Gbps internal switches and infrastructure, and 1Gb+ speeds are becoming more commonplace on gateway connections, as well. Is your bandwidth up to snuff? Are you prepared to handle data moving at those speeds? 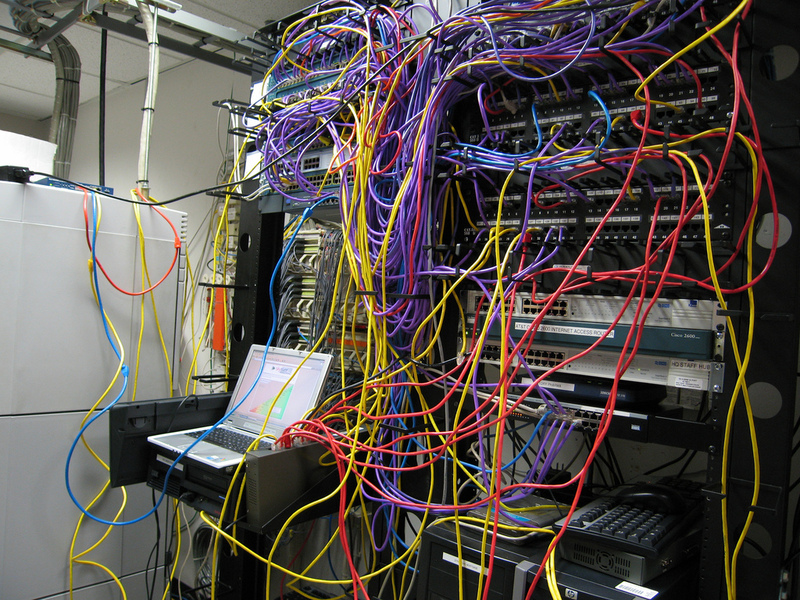 If not, perhaps it’s time to consider upgrades to your networking equipment.